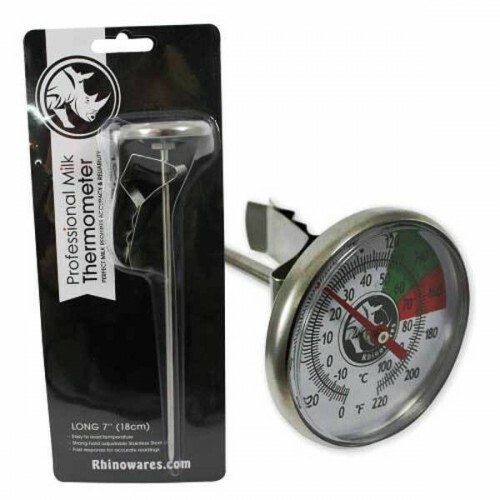 Get professional results everytime texturing milk with the Rhinowares long thermometer. Stainless steel clip for easy jug attachment, with positive lock and quick release action. Useful for all general purpose cooking needs.